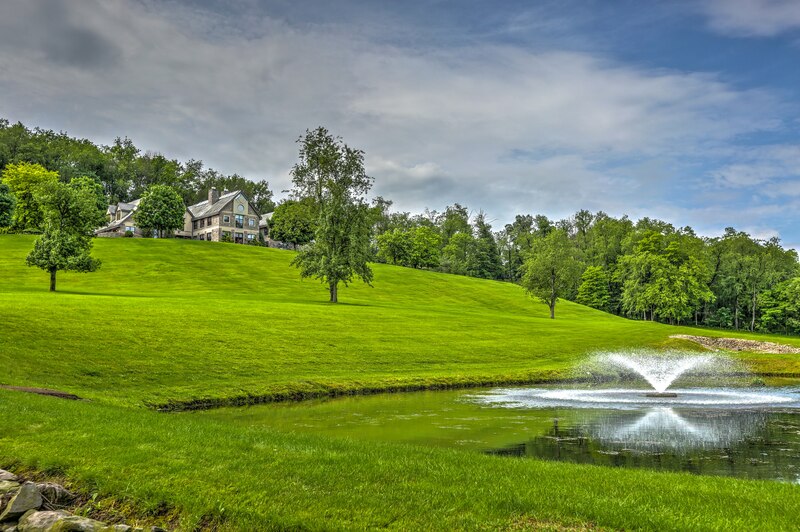 Walnut Hill, a 19,000 square foot home in Peters Township, just outside of Pittsburgh, will sell at absolute auction on July 31 with no minimums and no reserves. Sitting on 21 well-manicures acres, the home features equestrian facilities, a 45-foot pool with dehumidification system and a theater room. Take a property tour of the large family home. PITTSBURGH, PA--(Marketwired - Jul 22, 2014) - A 19,000 square foot home in Peters Township will sell at auction on July 31. The home, with features that include a three-story, indoor pool and an indoor, three-hole putting green, will sell absolute with no minimums and no reserves at an event conducted by J. P. King Auction Company. Bob and Diane Murphy had been in search of a home that allowed them to keep their horses on site. 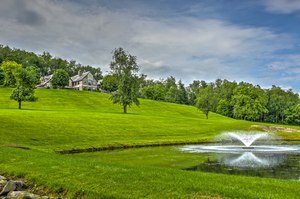 When they came across the 21-acre property with its convenient Peters Township location, the couple decided to build the home they were looking for instead. 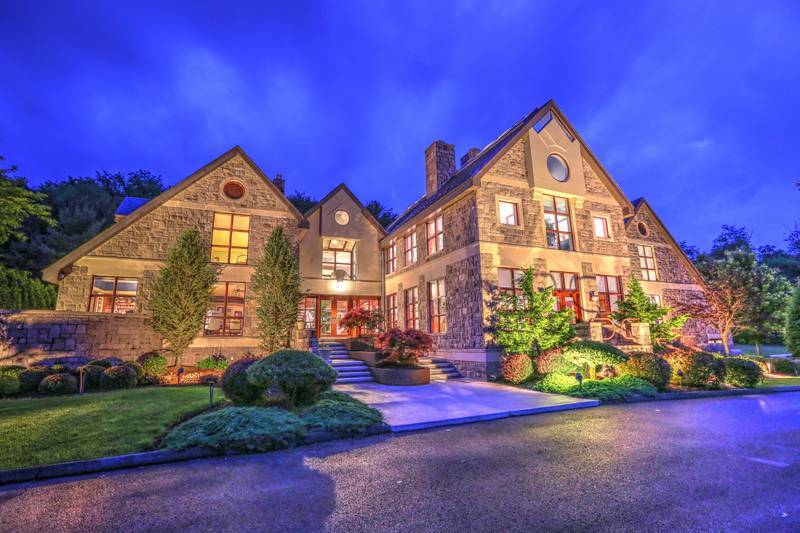 The Murphys hired architect Joseph Indovina to design a home that modeled the Main Line stone houses in Philadelphia, using custom woodcarvings to match the home's stone walls and steeply pitched roofs. With six bedroom suites and 10 total bathrooms, the Murphys enjoyed using the home for entertaining with its large, open rooms and indoor recreational activities. The most noticeable of these is the three-story indoor pool with large glass walls. The 45-foot lap pool, spa and waterfall also feature dual changing rooms and a commercial dehumidification system. Combined with a solarium, media center, a game room, along with living quarters that function as an autonomous residence within the larger home, Walnut Hill transforms to the needs of its owners. "My favorite thing about this home is that it's very user-friendly for anything you want to do. You don't feel like you're in a castle or a large auditorium when you're in the largest spaces because of its design," said Bob Murphy. "It has minimal walls, plenty of open space but also a cozy feeling of home." In the home's 21-acre outdoor space, Walnut Hill features a 10-stall horse stable with a passive convection cooling system, a Japanese garden, a walking trail through the property and an abundance of privacy. The auction will take place on Thursday, July 31 at 11 a.m. at the home, which is located at 514 Justabout Road in Venetia, Pennsylvania. Property tours are available by appointment from July 24 to auction day. For additional information, individuals may contact J. P. King at 800.558.5464 or visit the company's website at www.jpking.com. About J. P. King: J. P. King Auction Company specializes in high-value properties such as luxury homes, condominiums, land and ranches. The company has marketed properties in all 50 states and six countries with upcoming events in Alabama, Oregon, North Carolina and New Mexico.